Granite is not your only Choice! Granite is definitely a beautiful product and makes a great countertop but there are other products to chose. Marble is softer than granite and will scratch and stain creating its own patina when it does that. This aging process gives the marble a nice, warm look. That warmth appeals to some people – if you’re not one of them, you probably should avoid marble. There are new products being used on the marble so it won’t stain or scratch. Ask your fabricator what he or she recommends. Constructed from pieces of hardwood laminated together with glue for strength and stability ,wood can provide a warm, organic landing surface in a kitchen. Wood can also be resurfaced if damaged; if it gets dinged, stained, or gouged, you can refinish it. The majority of wood countertops are made from traditional butcher block,but should not be used for chopping. The variety of woods available range from subtly grained maple to deep, rich walnut to dramatic mesquite to exotic iroko. Wood does have to be maintained and cared for to retain it’s beauty. 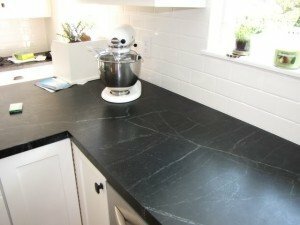 Soapstone is a smooth, matte natural stone that comes in a limited range of colors: light gray, dark green and charcoal It is one of the only natural surfaces that is not affected by acids, and is heat resistant. It is softer than granite so it will chip and scratch. It doesn’t have to be sealed and will not absorb anything. No special cleaners are needed but mineral oil can be used to enhance the stone. 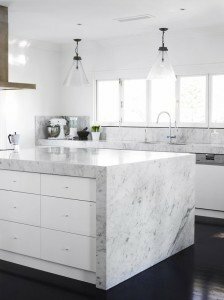 Although some quartz countertops are actually made of quarried slabs of stone, the new engineered material is created through a manufacturing process that mixes approximately 95 percent ground natural quartz with 5 percent polymer resins. 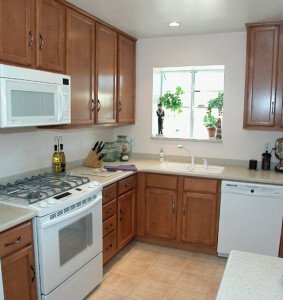 The result is a super-hard, low-maintenance, natural-looking countertop that’s available in a wide range of colors. Quartz is a composite material that offers the practicality of natural stone and the consistency of a manufactured product. 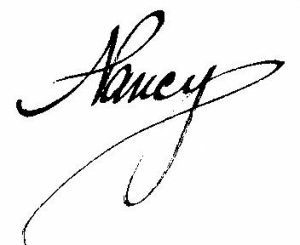 It is resistant to scratching but there are certain things that will scratch it. And, although it is heat resistant, you should use trivets. 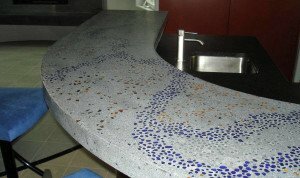 New colorizing and stain techniques have made concrete counters more popular than ever. They can be made in any color, shape and size. Embedded stones, tile or even gemstones and glass can be added to the mix to create a piece of art. 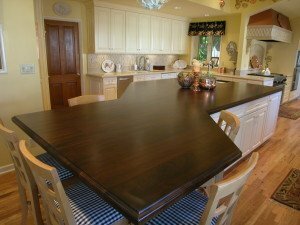 The result is a beautiful counter that’s durable as well as scratch- and heat resistant. 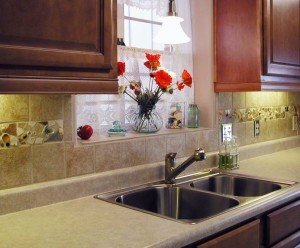 The counters, which can be extremely heavy, are susceptible to damage from acidic liquids and must be sealed and regularly maintained to resist stains. Glass countertops can endure high heat without cracking or scorching, they won’t stain and they’re nonporous, which makes them very hygienic. They can be painted on the back side, textured or lit. They’re very high-end and very versatile. Glass is tempered; polished square edge finishing or edge banding is generally recommended. 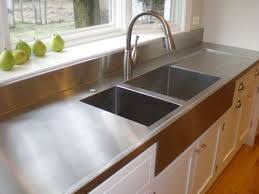 Stainless steel countertops can be found in any style of kitchen, from contemporary to traditional, because they complement many of today’s appliances. Stainless steel is stain- and heat-resistant, but it’s susceptible to scratches and dents. 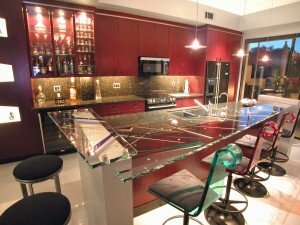 Of course, steel isn’t the only metal countertop material on the market. You might also consider copper, pewter or zinc. Sinks can be integrated into the counter tops making them easy to clean and maintain. Solid-surface countertops ( Corian, Avonite, Staron for example) can look like natural stone, but they’re generally less expensive and require less maintenance. 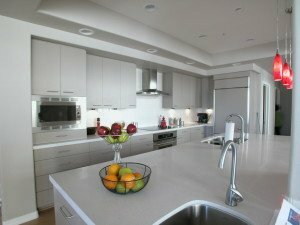 These countertops have inconspicious seams, integral sinks and coved backsplashes. Solid surface if very easy to clean and does not have to be sealed. These tops can be scratched or scorched but are very easy to repair by a qualified technician. Laminate has always been the most economical material for countertops offering over 500 colors and several edge details. For a inexpensive custom look, a laminate countertop can be combined with a tile backsplash. Yes, this material will scratch and burn, but using cutting boards and trivets will make the top look great for a long time. In my opinion, laminate is the best bang for the buck. Parts of the above article were reprinted from Homes.Yahoo.com by Mary Boone.